Culinary History of Iowa | Darcy Maulsby & Co. Pull up a chair to the kitchen table and prepare to enjoy a fun, delicious adventure through Iowa’s food history, thanks to a new book to be published in 2016 by Darcy Dougherty Maulsby of Lake City. The book will also include recipes like ham and bean soup, strawberry-rhubarb pie, scotcheroos, dishes from the Younkers tea room, and much more. 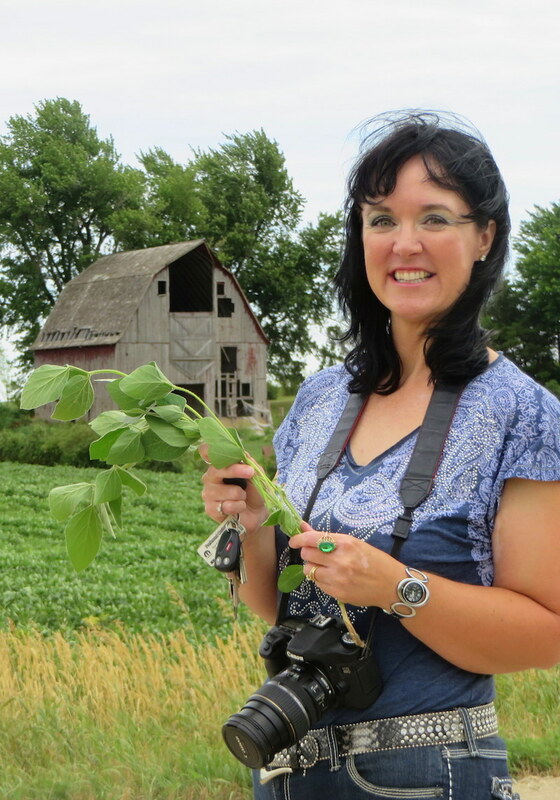 The project is a natural fit for Maulsby, who grew up on a farm between Lake City and Yetter and has written about Iowa agriculture and food extensively during her 17-year career as a writer and marketing specialist. She has worked with many well-known organizations and publications, including the National Pork Board, the Iowan magazine, Farm News, Progressive Farmer, the Iowa Turkey Federation and more. She has also featured Iowa farm cooks and their recipes in many regional publications. Maulsby herself is no novice in the kitchen. She began cooking at age 12. As a member of the Lake Creek Go-Getters 4-H Club in Lake City, she won numerous awards for her culinary creations at the Calhoun County Exposition. As an adult, she continues to compete and has won blue ribbons for her molasses cookies at the Clay County Fair and her mixed-berry jams at the Iowa State Fair. “I love to try new recipes, perfect my existing recipes and keep expanding my culinary skills,” said Maulsby, who also teaches cooking classes at local county fairs and other events. Education is important to Maulsby, who earned her degrees in history and journalism/mass communication from Iowa State University (ISU) in 1996, along with her master’s degree in business administration from ISU in 2004. In addition, Maulsby is a Master Gardener, Master Food Preserver, past judge for the Iowa Beef Industry Council’s Best Burger in Iowa contest and certified Kansas City Barbecue Society judge. Maulsby welcomes suggestions on topics, recipes and photos to include in her “Culinary History of Iowa” book. You can contact her through her website (www.darcymaulsby.com), or e-mail her at yettergirl@yahoo.com. About Darcy Dougherty Maulsby: Darcy has been described as an “artist with words” who writes to sell. This Iowa native has covered agriculture and business for regional and national publications and corporations for 17 years. She has worked with a number of leading organizations, including Arcadia Publishing, Syngenta, Progressive Farmer, the Iowan Magazine, the National Pork Board, Farm News and many others. She also teaches writing, photography and social media classes. Darcy, who grew up on a Century Farm near Lake City, earned her undergraduate degrees in journalism/mass communication and history from Iowa State University (ISU) in 1996. She completed her master’s degree in business administration and marketing at ISU in 2004. In her free time, Darcy loves to cook and help on her family’s Century Farm in Calhoun County. She serves as the president of the Calhoun County Corn Growers, president of the Calhoun County Farm Bureau and vice president of Historic Central School Preservation in Lake City.